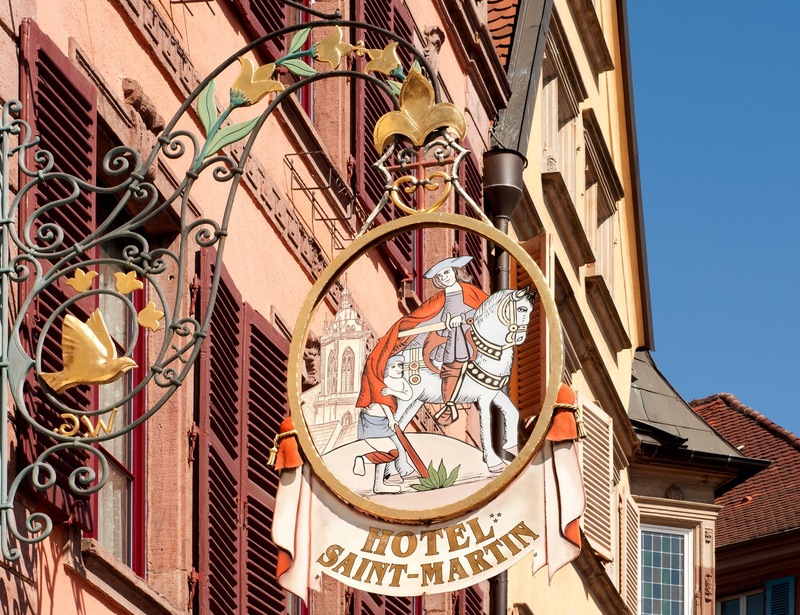 The SAINT-MARTIN Hotel *** is situated in the heart of historic Colmar in Alsace, north-eastern France and provides a perfect base from which to visit and discover the delightful town and the typical villages in the surrounding area. 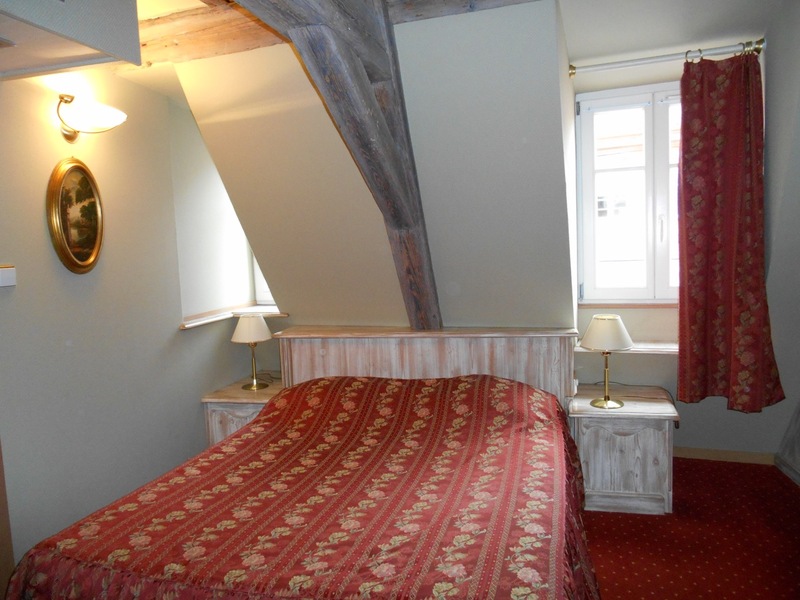 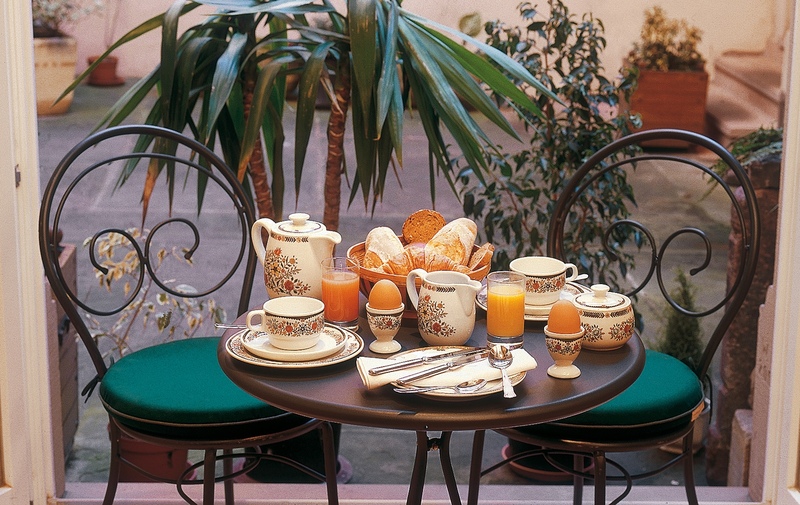 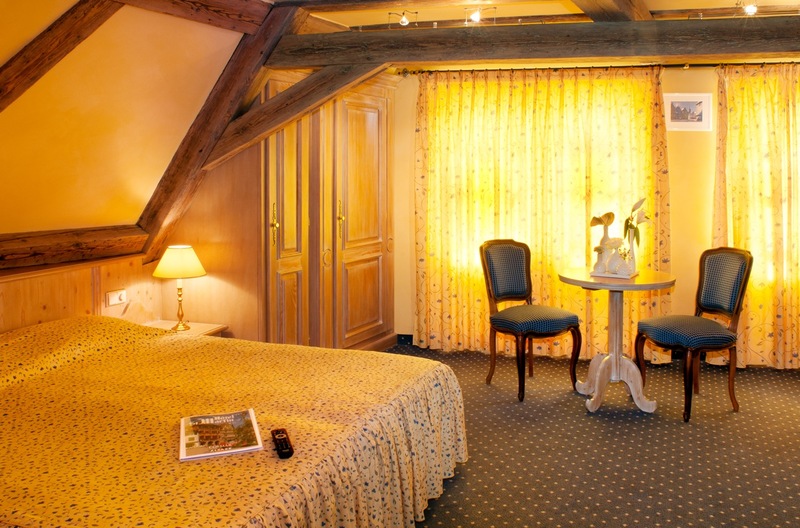 The hotel is ideally placed for easy access to the various cultural escapades that Colmar has to offer. 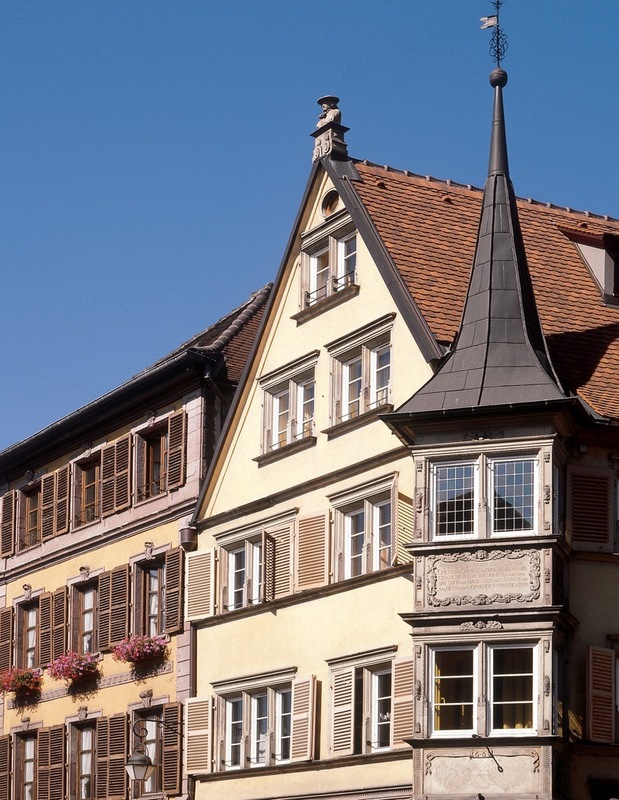 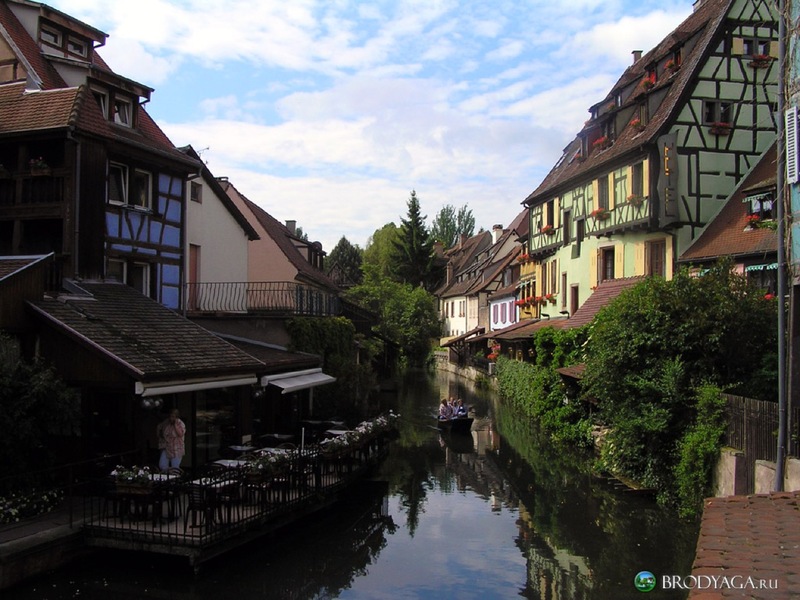 A truly beautiful town, decorated with multitudes of flowers, Colmar is renowned for its remarkable heritage, notably its Festival de Musique, museums and Christmas markets. 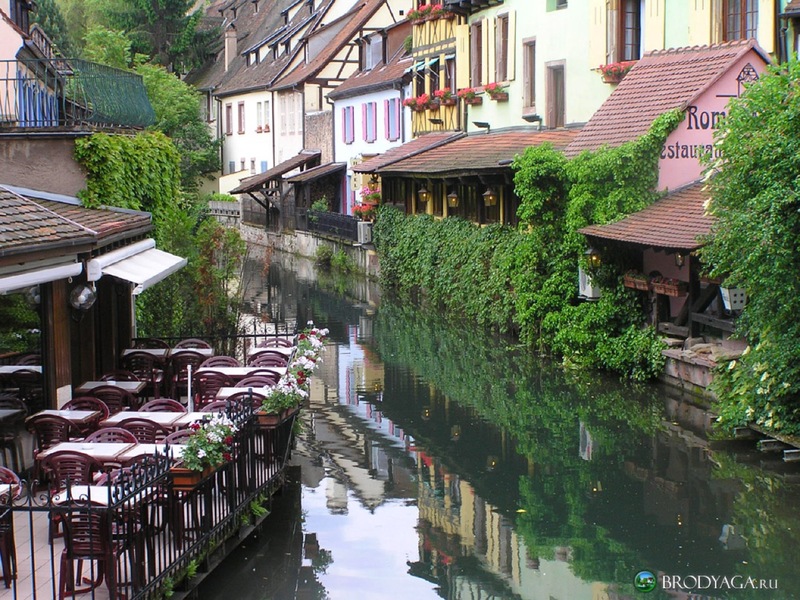 The typical historical districts of the ‘Vieille Ville’ or ‘Old Town’ are particularly charming, as is ‘Petite Venise’ or ‘Little Venice’ along with its abundance of Alsatian arts and crafts. 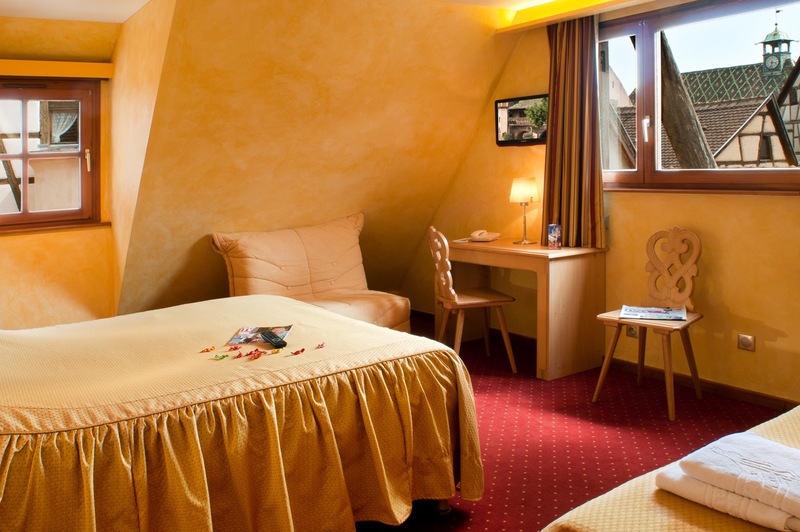 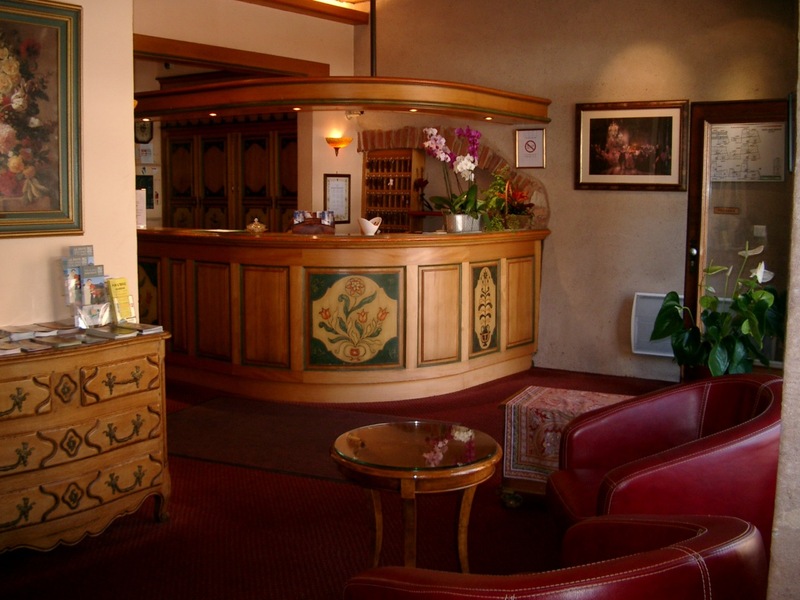 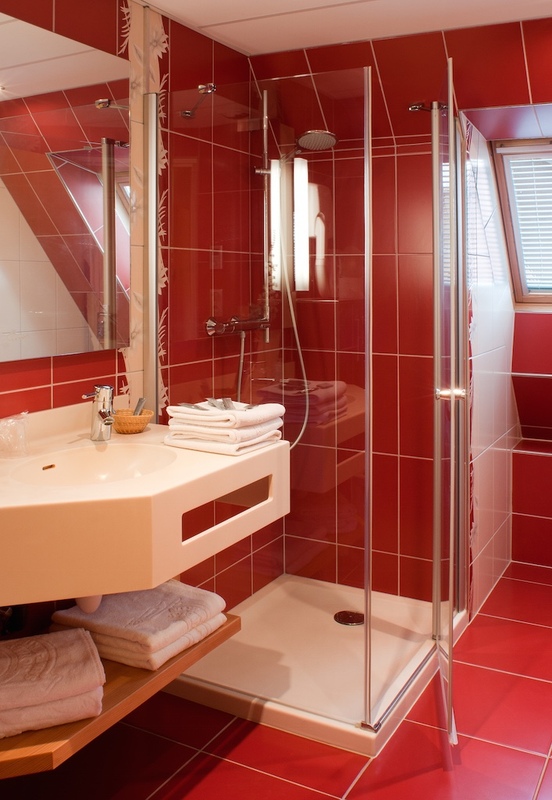 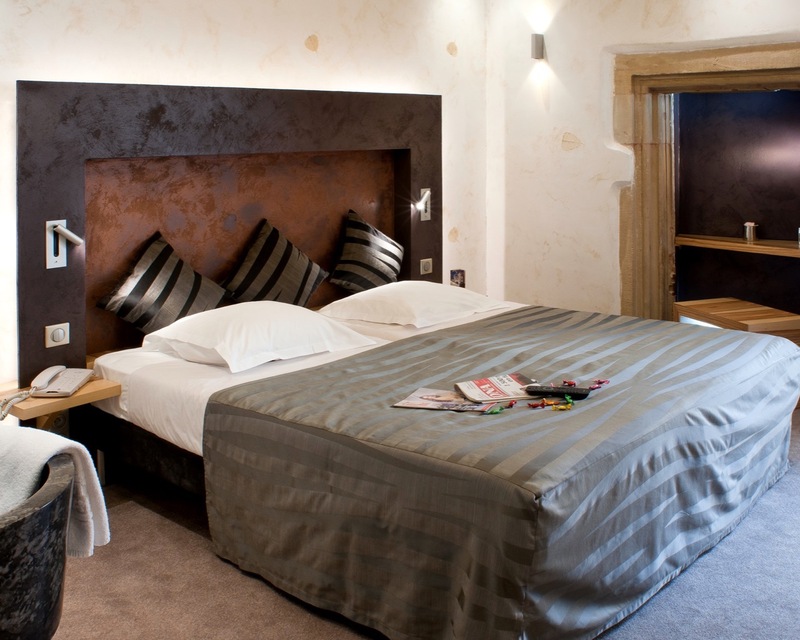 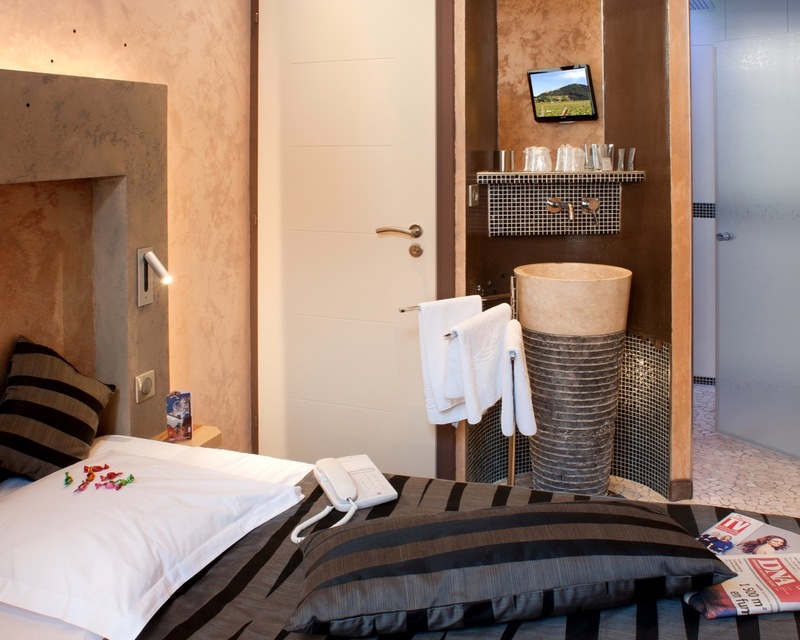 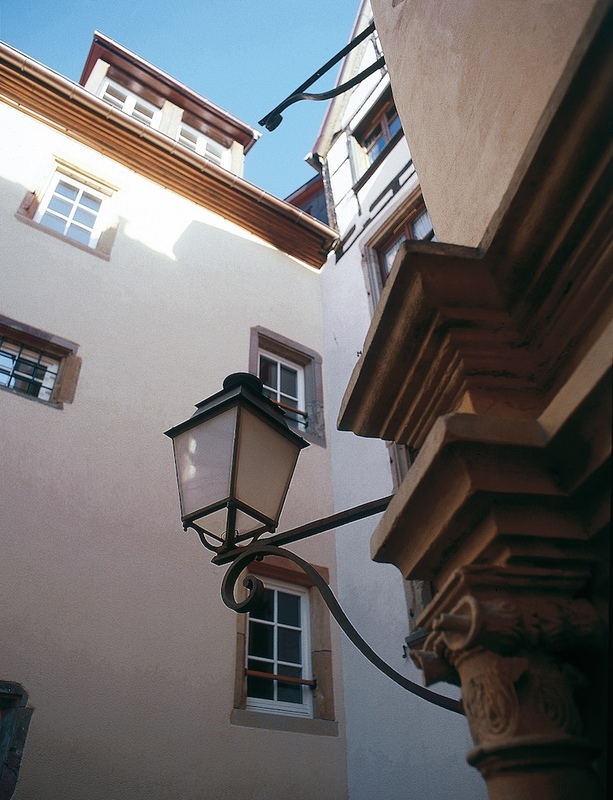 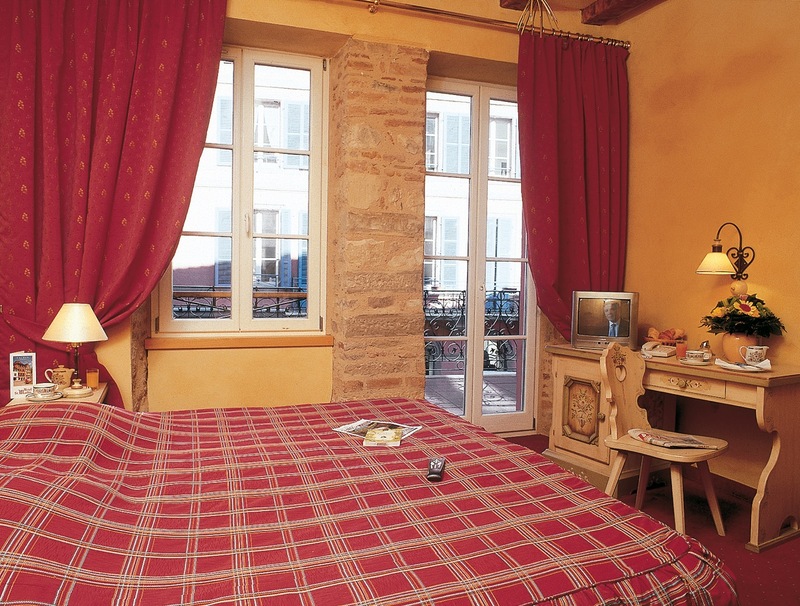 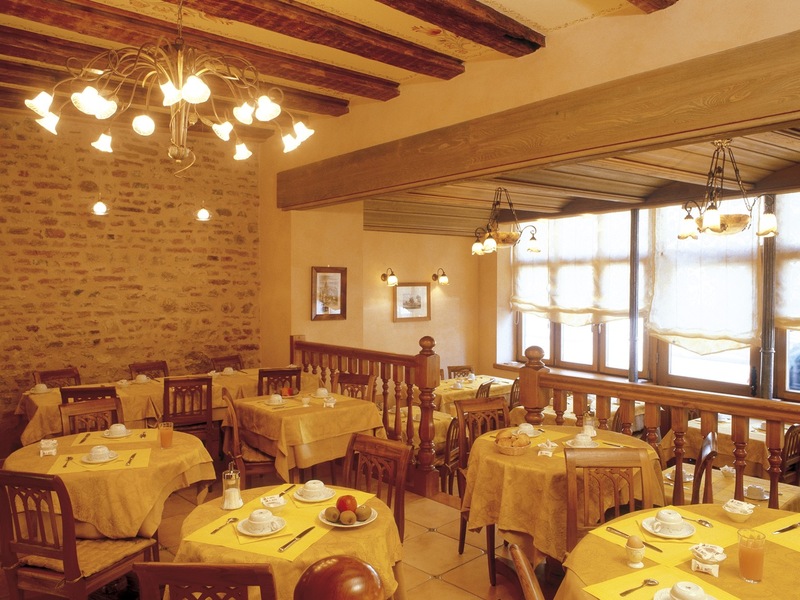 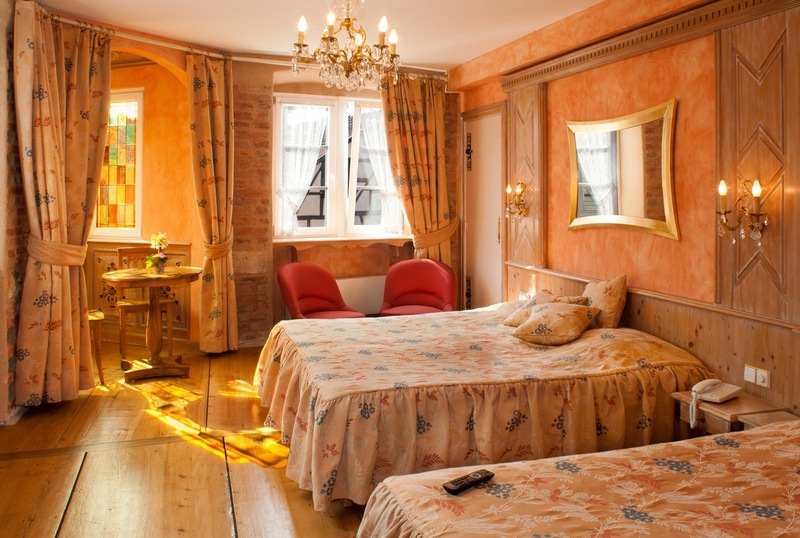 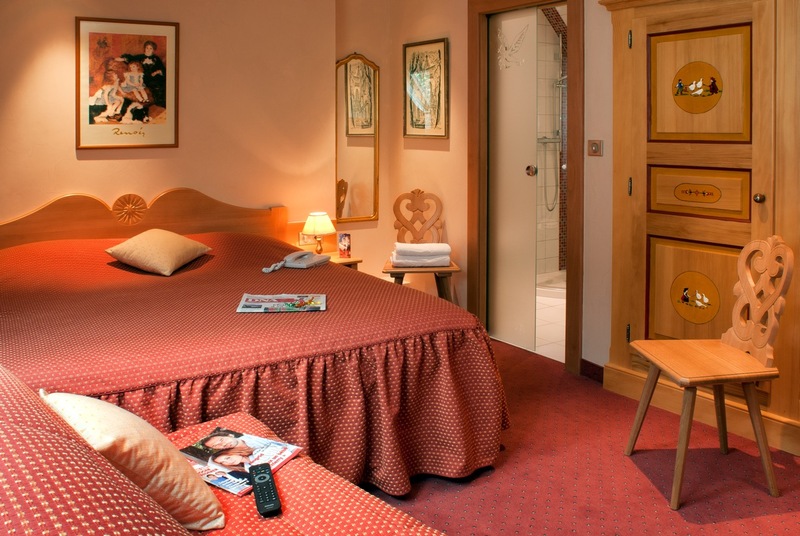 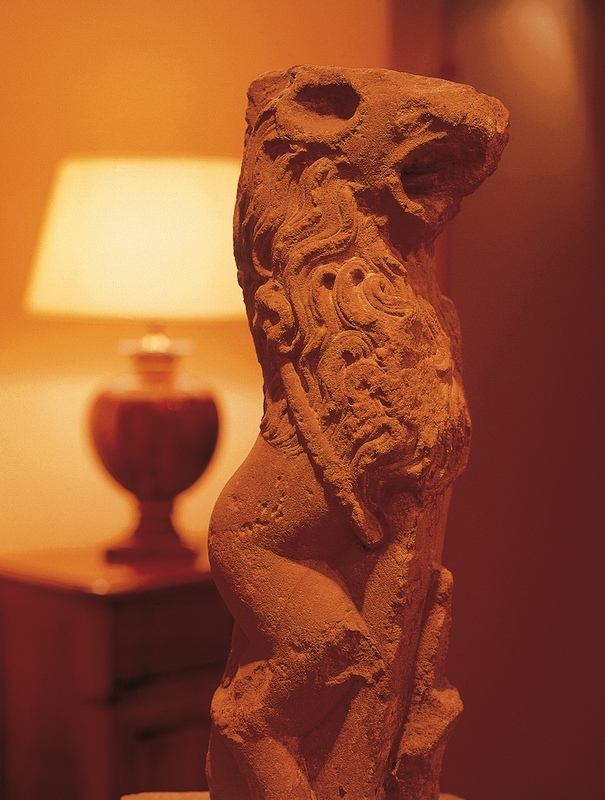 For those following the famous ‘Route des vins d'Alsace’ the Saint-Martin hotel offers an excellent choice of stop-over. 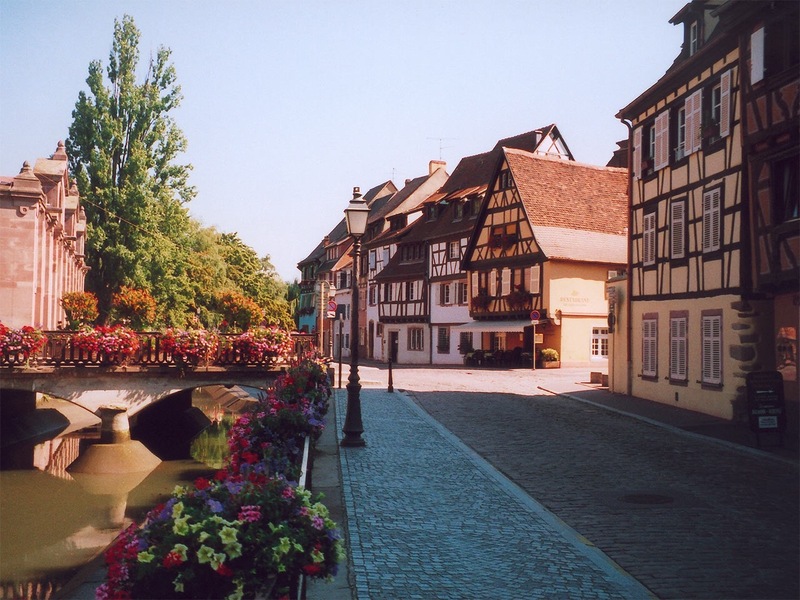 Not far from the borders of Germany and Switzerland, Colmar sits on the main axe between Strasborg, Sélestat and Mulhouse. 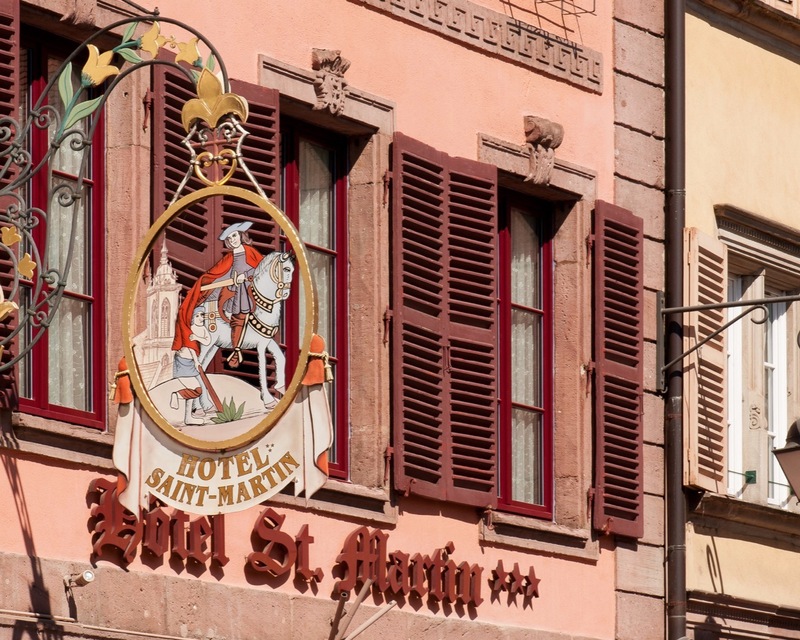 Whether you are travelling alone, in a couple, or with your family, the team at Saint-Martin are ready to give you a good, authentic, Alsatian welcome. 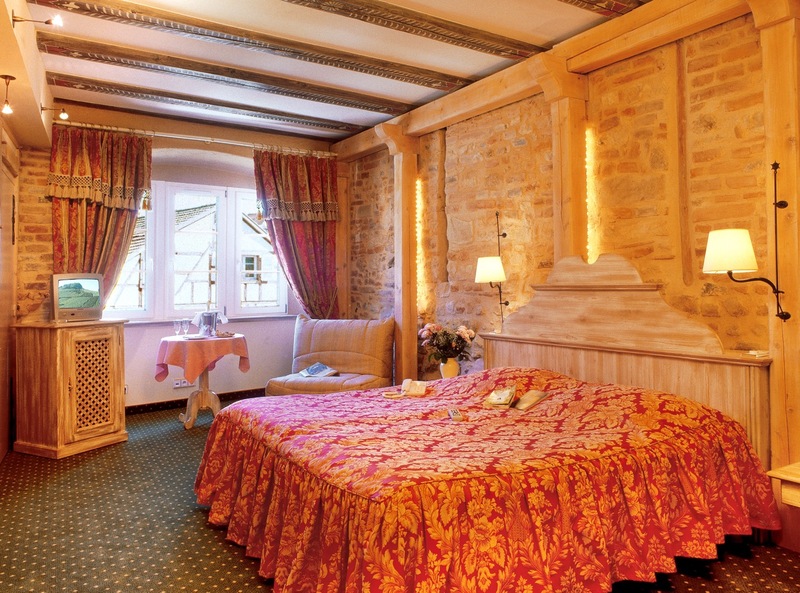 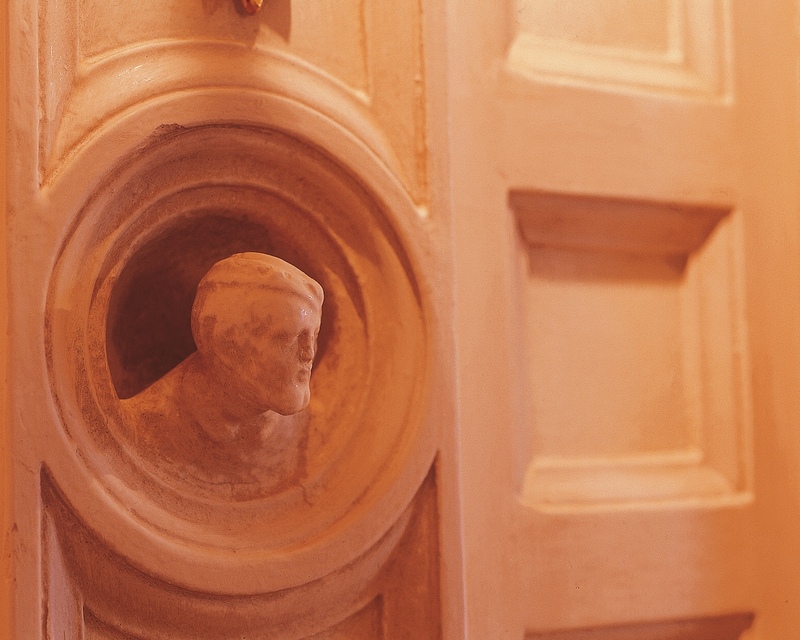 An old mansion house dating from 1361, the building has conserved its Louis XVI facade; its authentic charm and character are also reflected in the decoration of the rooms and reception area. 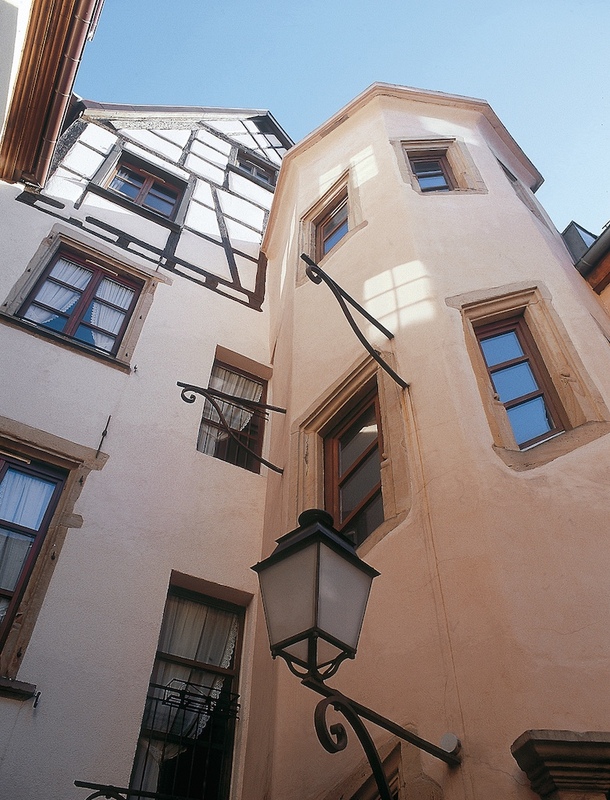 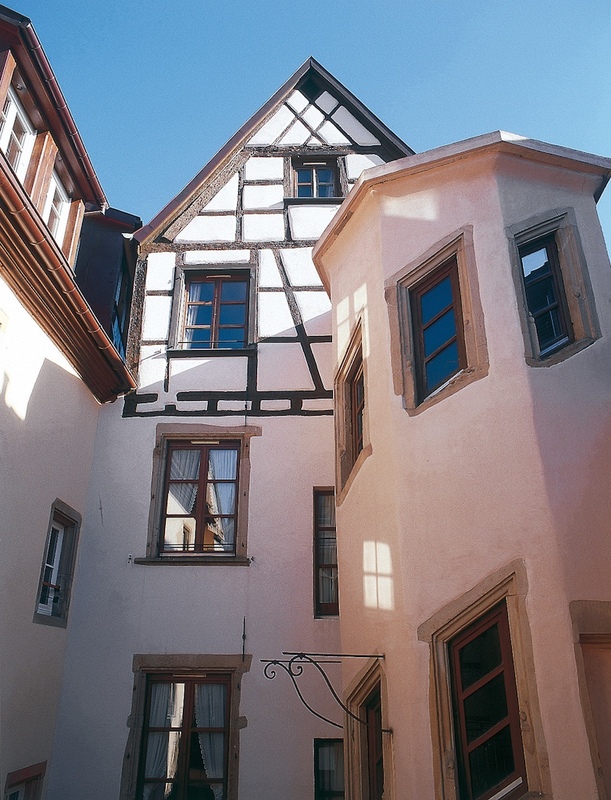 In the delightful central courtyard is a Renaissance turret with a spiral stone staircase. 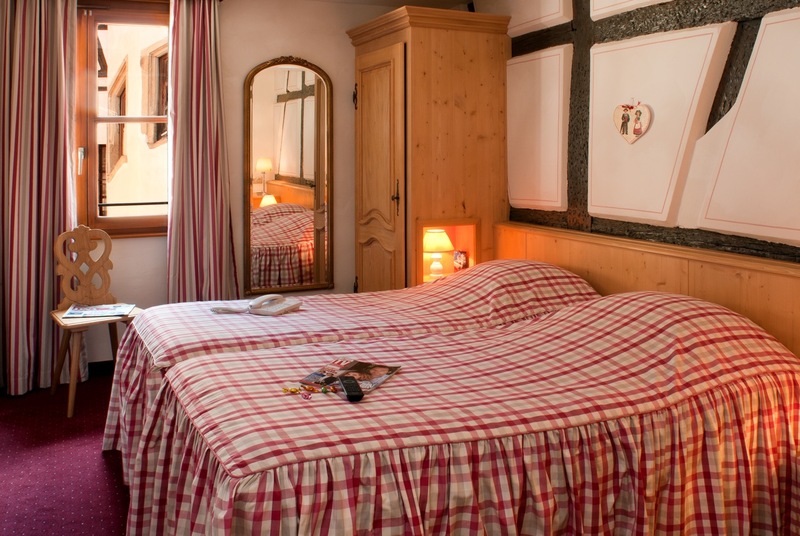 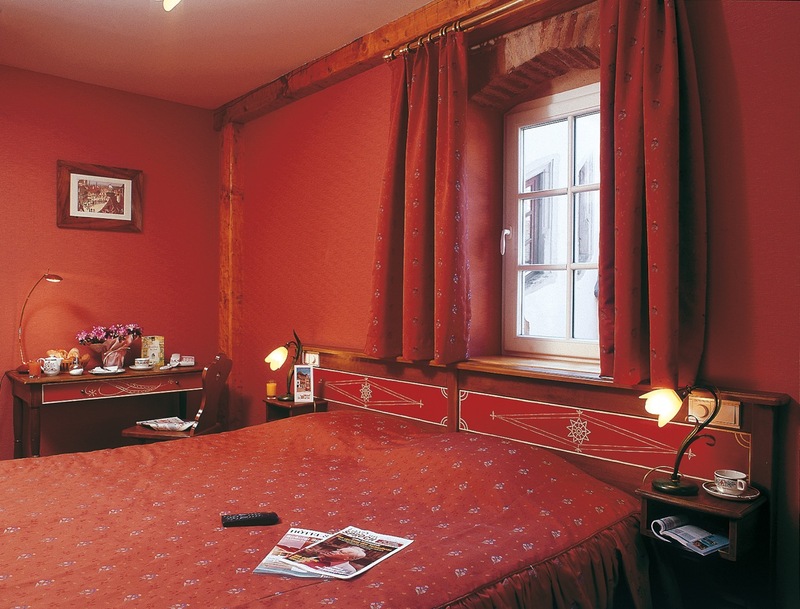 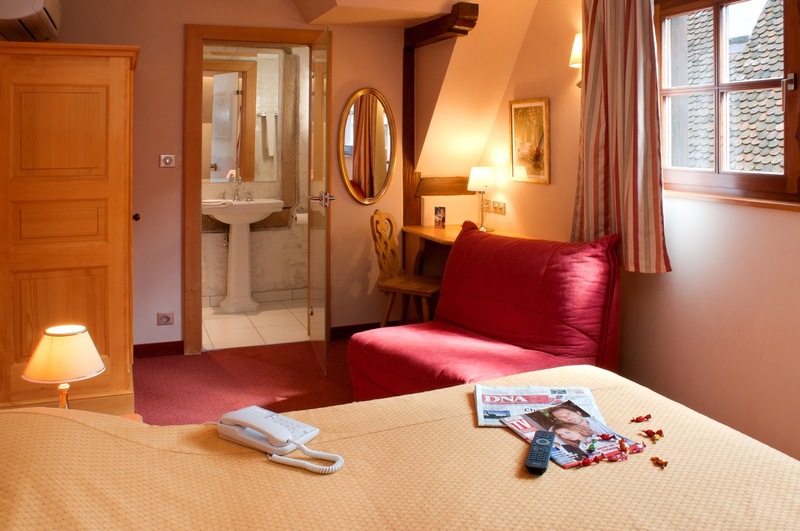 The majority of the forty rooms have been decorated in a typical Alsatian style, however, if you prefer, two rooms have recently been redecorated with a more contemporary feel. 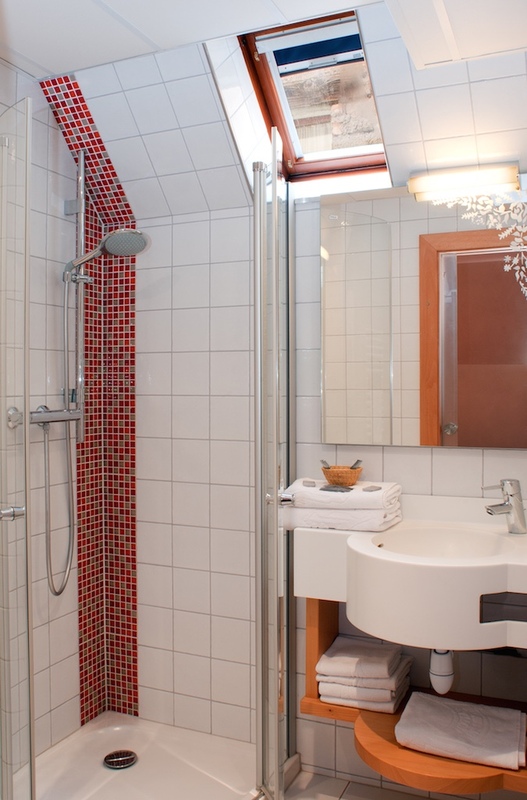 2 rooms are fitted out for persons with reduced mobility (PRM). 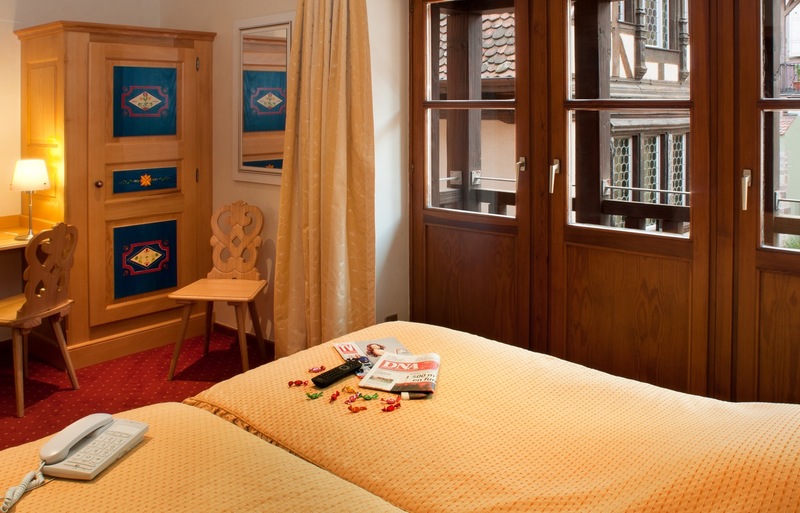 Colmar magic Christmas opening hours : From 23th November to 30st December.